Great Erasure youtube findings This thread currently has 2,604 views. I hope im posting this in the right section. Just wanted to create a thread that comprises of various youtube links with rare performances or alternative versions of the classic Erasure songs. I found this rare version of Fingers and Thumbs, sounds more like a demo version. 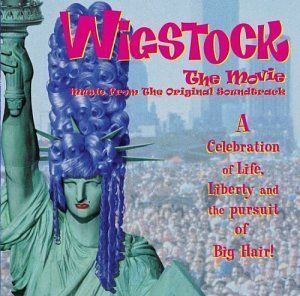 This version was done for the Wigstock Soundtrack, it has a different feel to the album version. Not technically true. It's simply called Cold Summer's Day, never "demo". It was obviously too good a song to be forgotten on a soundtrack for a movie no one ever saw, and was given a makeover for the Erasure self-titled album with slightly altered lyrics and a new name: Fingers & Thumbs (Cold Summer's Day). I suspect this was done because there weren't a lot of radio-friendly tracks on Erasure. I remember this all quite clearly because in my younger college years, I stupidly but intentionally wrote a hot check for that awful Wigstock CD, just to have that one new track by my favorite band! That literally looks as if they filmed it in the late 80s or 90s. Is that the antiquated camera system, or the weather? The picture quality of the actual programme is good, but whoever uploaded it to Youtube used low definition. The colour in the original is a bit grey as the weather was not that great. That was '89, and, barring new crane shots, not terribly different in feel/look. No, those Sunday afternoon programmes haven't changed much over the years. They are aimed at the elderly and families with children and mainly people living in the country side. Obviously outdoor programmes will always suffer from a bit of a minimalistic look as they are moved around to the next location before being dumped. These shows are light entertainment that features silly little games and some national and international performers with a fairly low profile. However as it does cover three countries it did get Erasure some exposure. It is funny you chose clip from that programme, Erasure performed on exactly that programme Chorus or I Love To Hate You or perhaps both back in 1992. I chose that one because it was (for a few years before Hubert KaH had their own YT account) the only video I could find from that band, and it stuck in my head as so dreary-looking.